Looking to live close to FSU campus, but don't have a big budget? 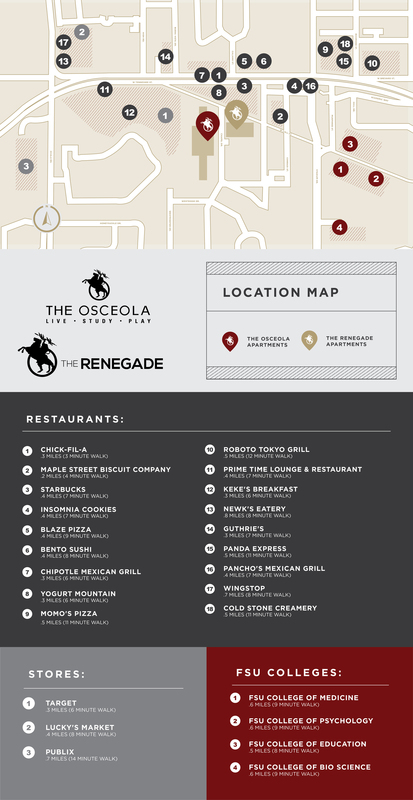 The Renegade has the convenience and value of off-campus housing right next to campus. Conveniently located steps away from Florida State's Medical School, Doak Campbell Stadium, Chick-fil-A, Publix, Bill's Bookstore, CVS Pharmacy, Momo's Pizza and Moes Southwest Grill, it's easy to see why this location is perfect for students.